In recent times, one of the common questions I get from my friends and readers is whether now is a good time to buy oil, and which products they can use to gain exposure to oil. I hope this article will shed some light on these questions, through the sharing of my own personal views on the matter. WHY THE SUDDEN INTEREST IN OIL? Oil prices have fallen more than 70% from its highs of $110 per barrel in 2011 to a low of $27 per barrel early this year. The drop came after OPEC (a group of some of the biggest oil producing nations in the world ) decided to continue pumping the same amount of oil despite clear signs that there was too much supply in the market. Other factors that contributed to it include weaker demand for oil (especially in China), the rise of U.S. shale oil producers and also the upcoming oil exports from Iran (after sanctions were lifted). 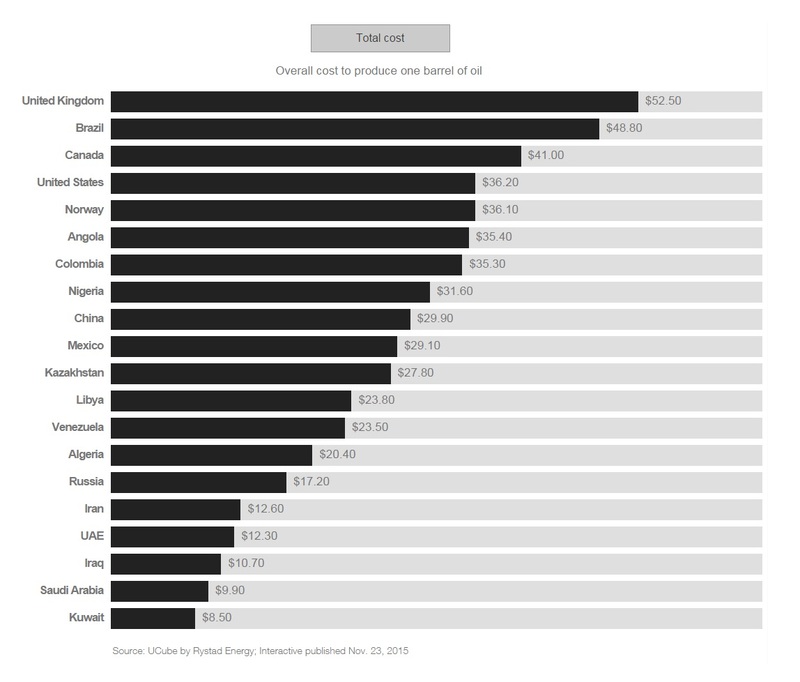 The International Monetary Fund warned last month that most countries in the Middle East — including Saudi Arabia, Oman and Bahrain — will run out of cash within five years if oil prices don’t rise above roughly $50 per barrel. Oil production will start to fall as more and more oil producers go bankrupt and when OPEC (mainly made up of the Saudi Arabia + Arab States) agrees to cut their output. One likely reason why OPEC has not done so is to keep these low prices to drive US oil producers out of business (especially the Shale oil producers), which will give them back their market share. However, these low oil prices have also been hurting the Saudis (they have been suffering large current account deficits and have been selling other assets to finance their government spending). So, who will blink first? IS NOW A GOOD TIME TO BUY OIL? Looking at the long-term chart of oil dating back to 2001, I feel that oil is now in a “Buying Zone” between $17-$35, which is a good area to gradually accumulate oil products. My long-term target (within the next 3-5 years) is in the “Value Zone” of $60-$90, which presents an upside of 50-300% returns. To date, I am holding about 5% of oil in my portfolio, and I am planning to add more over time. WHAT PRODUCTS CAN YOU USE TO “BUY” OIL? The two most popular ones are USO and USL, listed on the NYSE. These oil ETFs more or less track crude oil prices but it is not a perfect correlation due to errors. Both have their pros and cons, so it might be a good idea to hold both for a bit of diversification. Other options include the Energy ETF (XLE) which consist of companies in the energy sector, or other Energy ETFs such as DBO, OLEM or OIL. Another option is to go long on energy companies, since these companies will be correlated to oil prices. However, it is important to note that stocks are also affected by the stock market cycle, which means they may not perform that well if oil prices go up but the stock market goes down. In the US market, you have companies like Exxon Mobil (XOM), Phillips 66 (PSX), COP, CVX, etc… For the local market, you have companies like Keppel Corp (BN4), Sembcorp Marine (S51), etc. These instruments are a bit more complex, and are more commonly used for short-term trading, since there are associated costs for longer holding periods, or high volatility caused by factors outside the oil price. For those who are keen, I can show you some examples on my trading platform this coming Wednesday at my free workshop. https://i1.wp.com/synapsetrading.com/wp-content/uploads/2016/02/oil-extraction.jpg?fit=2000%2C1000 1000 2000 Spencer Li http://synapsetrading.com/wp-content/uploads/2014/03/logo-header1.png Spencer Li2016-02-21 06:10:092018-10-30 12:37:09Window of Opportunity: Is Now a Good Chance to Buy Oil, and How Can You Do So?